Spent very little time with him. He called in his physicians assistant and I spent the remainder of my visit withher. Spent very little time with him. He called in his physicians assistant and I spent the remainder of my visit with her. Everything from the moment I walked into the office til the moment I checked out was excellent. Highly recommended. Recognized as one of the top 100 spine surgeons by the Becker Orthopedic & Spine Review, Dr. Randall F. Dryer provides premier care to residents of Austin and greater central Texas area. As a board certified orthopedic surgeon with a specialty in the spine, Dr. Dryer is trained to diagnose and treat a number of highly complex spinal issues. In order to provide specialized and focused care, Dr. Dryer limits his practice to issues associated with the cervical and lumbar spine. 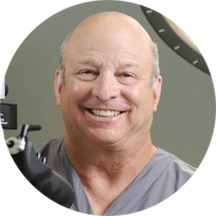 He is an active participant in the medical community and currently holds professional memberships at the North American Spine Society, the Society of Lateral Access Surgery, and the Spine Arthroplasty Society, among others. Patients remember Dr. Dryer for his compassionate and detail-oriented approach to care. It is no surprise, then, that he was recognized as a 2010 and 2011“Patients’ Choice” physician by Vitals.com, as well as one of the “Texas Super Doctors” by Texas Monthly Magazine. When Dr. Dryer is not working, he enjoys spending time with his wife, Michelle, and their children. He is also an avid tennis fan. First thing I was ask by PA was:Do you speak English if I needed a translator. Then I saw Dr. Randall for less than 5 min. Doctor Didn't even said Hi, or introduce himself. Low quality visit. Receptionist were the best. 5stars for staff. Dr. Dryer was to serious for me. On to the next patient. No time for rapport. To each his own!!! C’est la vie. Thoroughly impressed with Dr. Dryer's quick assessment of my wife's ailments and his development of a "plan of attack" to address her concerns. Very nice upfront doctor. Addressed my concerns and offered options. Dr. Dryer and all the other employees, especially his assistant made me feel I was in good and safe hands. It was amazing to be treated with professional and care. Dr. Dryer and his assistant put me at ease with myupcoming procedure. He and all his staff all concerns and questions. I love the fact he listened, unlike Dr. I seen before Dryer. It was nice to be treated well. Everyone was so friendly and professional. The scheduler knew my wife and I were nervous she too put the both of us at ease and cracked a couple jokes. We highly recommend. Knowledgeable, professional, friendly and informative. We were told it was a rare occasion that the doctor was running 30 minutes behind, however we asked to be there 30 minutes early so we were there at 10, appointment at 10:30, not seen until 11:25. What a disappointing experience with Dr. Dryer. His front desk team, nurses, and PA were all extremely kind, but I certainly don't wish to see Dr. Dryer again. After the PA did my exam, she let me know I'd see Dr.Dryer next, and even popped in to apologize after he was taking quite a long time with another patient. I absolutely did not mind the wait, as I'd prefer a doctor be thorough and take his/her time with a patient. When Dr. Dryer came in to meet me, he took a quick look at my x-rays, did a very brief exam, told the PA to order physical therapy/abx as he opened the door and left. He did not ask me if I had questions and did not even have enough manners to say "goodbye". I was very anxious about this appointment, and Dr Dryer made absolutely no effort to calm my fears or talk me through what I was experiencing. He might be a great surgeon, but he clearly skipped the bedside manner portion of his training. I was extremely insulted by his lack of attention and will not be returning to him in the future. I wont be back. All I can say is wow. How is this guy still in business? I had an appt for 11:30. Arrived at 11:15. And was finally seen at 12:45. I asked Dr. Dryer if he was busy andhe just rolled his eyes. The entire visit was maybe 3 minutes max. He just said I can help you but will need to work on you and walked out of the room. I'm a first time patient. No handshake, no introduction. I came here to get a second opinion and I guess that's what I got. I'll return to my other doctor. What a professional office. Dr. Dryer quarterbacks a fine staff that works seamlessly ! I'm came here after previously having been treated at Texas Orthopedics and the difference was night and day. From the moment I walked in until I left the staff and the Dr did not act rushed and took the time toanswer all my questions. I'm glad I found this place. All good, very professional, thorough and excited to move to the next step in getting well. Every single employee in Dr Dryer’s office was kind, professional, and able to answer my questions. I was seen in a timely manner and Dr Dryer’s bedside manner and knowledge of my condition immediately set my mind at ease. This was the first visit. Doctor was friendly, very knowledgeable, right to the point. Decades of experience came through. Some more sensitive patients might be put off. Not me. This is serious business I want it on the table no fluff.This guy is the best of the best. When he says “I can fix it” for a serious complication, no doubt in my mind he can as he is clearly on top of his trade. When he captured the visit on his recorder he nailed it. Every key point in my mind was covered. I think he is fantastic! Super professional staff- A++, efficient and pleasant. Dr. Dryer is absolutely wonderful and displays excellent qualities. I am totally impressed with the appointment scheduling, paper work, visit, and set up for MRI. I cannot wait to return for my follow up appointment. Keep up the excellent work!!! The young lady doctor was very attentive. Neither she nor Dr. Randall could figure out what is wrong with me, so I have to reserve judgement on that score. They are referring me to a neurologist, which is a good thing. The doctor explained my MRI and xrays and what the next step needed to be in my treatment. He made me feel like he could help. Dr Dryer was very thorough, direct & wasted no time getting down to business. He was already familiar with my history when he came in to discuss my treatment plan, which made me feel like my care was a priority. I definitely recommend Dr Dryer! Now I know why my whole family goes to the Mayo Clinic for all their medical needs. Just took me 1 more Texas doctor to figure it out. This doctor appears to not want to look a little deeper to findthe answer. Or maybe he just doesn't like to treat people who don't have great insurance or money. That's to his detriment. Refreshing to have a orthopaedic surgeon who is honest, to the point, and asks not only the right questions, but also the right amount of questions. If it is an honest assessment you are looking for, without dramatic, nor diminished answers,this is your doctor. All doctors have opinions/options to give you, some you might not want, but it is up to you to decide if it is right for you (without sugar coating). On my first visit, after many other surgeons, (without a shrug or blowoff) he ga ve his opinion without making me feel stupid, and asked if I had anymore questions. The fact that he dictates his notes in front of you, is the MOST important reason I have instant respect for him. It is called intergrity. AND so far, I really like the staff members I have met. Very important in building a better working, trusting relationship between patient and doctor. Thanks. Was very rushed, cut me off when I was talking. Dr. Dryer has been a wonderful resource for my patients who love him. I obviously went to him with a back injury myself. He has a very unhurried bedside manner and is empathetic. Attentive, friendly, good bed side manner. First Dr.'s office I've ever been in, that they valued your time (and money). After 30 years of back pain that has never been seen on x rays my back has recently gotten worse to the point i would like to know why iv had to deal it it all my life and they brushedme aside acting like they didn't believe me because there was nothing in the x rays. All doctor cared about is "if its so bad how come this is the first time you have been to the doctor in past 5 years?" I Have not had insurance fot last 10 years and after having back pain all my life you just learn to deal with it. Was not a good enough answer to take up any more of him time. Anyone who is experiencing any pain in the spine or anyone who has been told they have degenerate discs should go to Dr Randall Dryer. If you are referred to go to pain management, do not go. Get an appt with Dr Randall Dryer first. Very positive. Clearly Dr. Dryer is an expert and new in minutes how I should proceed in managing my back pain. attentive my needs, and addressed my problem. thanks Doc! Best doctors appointment I've had in a long time. He was very thorough and personable. I felt comfortable and well informed. His staff was very friendly and accommodating. I'm 40, I've had 17+ surgeries, and I've seen probably 20 different surgeons in my life and another 30 GPs and Dr. Dryer is without a doubt the worst physician with which I've ever interacted. I have no problems w/his surgicalskill (so far), but in every other category, except timeliness, he's abysmal. I've had appointments that lasted less than 2 minutes. He wouldn't give me time to ask more than maybe 1 question, so I wrote them down last time, and he refused to answer them and implied I needed psychological help simply because I am an informed patient. Seriously, screw this guy, even tho we both served in the military. I probably only saw Dr. Dryer for a total of 2 minutes. The Physician's Assistant was the main one who was talking to me, etc. She was great, went over my x-rays, did not recommend surgery. Overall her bedside manner wasvery good as well and seemed very knowledgeable. I can't really give Dr. Dryer a review, because like I said, barely saw/talked to him. Didn't even look at the correct MRI. Didn't listen to my symptoms. Has no desire to spend more than 5 minutes with patients. Very professional and thorough. I was very satisfied with my exam and treatment. Dr. Dryer made my office visit very informative. I know that I need back surgery, but the thought of it scares me tremendously. After consulting with him, I feel at ease to have this done. I am confident that having himperform this surgery will relieve me of this terrible pain I have suffered for 1 1/2 years. His staff was also extremely friendly and made my visit enjoyable. He was not friendly or helpful. He didn't go into any detail. He was annoyed from the time he entered the room. We had some sincere and serious questions. His curt and uninformative answers were degrading, short and rude. He reallyjust seemed like he didn't want anything to do with us. We will not be going back or recommending him to others. Every Dr. I've met with introduced themselves with "Hi, I'm Dr. John Doe." There was no handshake or smile upon meeting...very cold. My wife and I are laymen asking questions which seemed to annoy Dr. Dryer. I expressed the concerns ofmy massage therapist, he then got very haughty with a bad attitude remarking "they don't know anything, they're not doctors, I've been doing this all my life." He was very pompous and arrogant. This was the worst Dr. experience I've ever had. I will tell all of my friend and associates to stay clear of his practice. What a waste of time and money...I paid to be treated horribly! Horrible! I was so disappointed and will never return!! The reason for my appt. was concern over what a chiropractor had told me about my back and neck, alleging that I needed 8 or more months of treatment involving a huge time and monetary commitment. Dr. Dryer quickly assuaged myfears, as he told me there was absolutely nothing wrong with my back or neck, just as I suspected. He said I was perfectly fine and to disregard anything the chiropractor had told me. I can't tell you the relief I felt, for I had been very concerned about what the other "doctor" had said, as well as the cost and especially the time commitment involved. If I could give 10 stars to Dr. Dryer I would! Very pleasant experience. Dr Dryer listens, asks questions, discusses X-rays, allows me to ask my questions, and explains his diagnosis and treatment suggestions. Very good communication as well as medical skills. Friendly efficient staff.